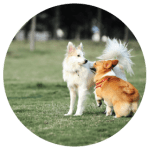 The primary aim of the Club is to help dog owners train their dogs to a satisfactory and acceptable level of obedience with the help and guidance of our experienced team of instructors in a friendly and supportive environment. 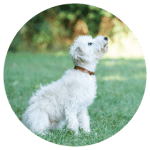 The courses we offer range from puppy training and basic domestic obedience through to obedience competition level and fun exercises for dogs of all ages. We aim to be a friendly club, so please introduce yourself to other members and get to know them - we are all here for the same reason! The club has a social programme for the enjoyment of members and their dogs - see our Events Calendar for details. We hope that you enjoy being a member of our club and that you will find it of benefit to both yourself and to your canine companion. Annual club membership for a family (multiple dogs and handlers from the same household) is just $20. From just $80 for an 8 week training course. 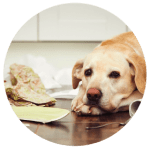 We cover all levels - from puppies to senior grades. Imagine the joy of well behaved dog. Our courses will aid you in breaking bad habits and learning expected behaviour. Socialisation enables your dog to feel more comfortable when encountering new things, animals, people and experiences. I bought my first dog (Gabby) to WCOC for training over 30 years ago and I am back again with my latest puppy. It is so much easier to train in a group under the guidance of experienced trainers no matter how many years of dog ownership you have.